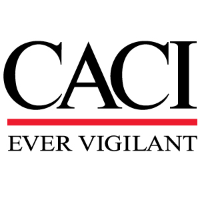 CACI has an upcoming requirement for a Systems Engineer supporting Integrated Ship Defense. The scope of the work includes engineering, test and evaluation, interoperability, technical, and specified logistic services to the ISEA mission for the successful implementation of AEGIS and SSDS Open Architecture / Modernization. The individual(s) selected will provide engineering, technical, computer programming, materials management, and logistics services necessary to support Combat System, major weapon systems programs, test and evaluation and post event analysis. Personnel will provide these services at shore sites, land based test facilities, shipyards, and aboard ships in ports and at sea for the U.S., Allied Nations, and Foreign Military Sales customers. -- Typically requires bachelor's degree (in Computer Science, Math, Electrical Engineering or related field) or equivalent and at least 7-9 years experience related to the technical analysis of complex naval weapon systems. 1. Engineering analysis of complex Naval Combat systems. 2. Modern techniques of system integration. 3. System Navy sensors and electronic warfare. 4. Analysis and/or implementation of network interoperability. 5. Test and evaluation of naval combat systems. 6. Scenario Development, Live fire weapons testing at sea or on weapons ranges. 7. Naval weapons firing in combat. 8. Development of test plans for naval systems installation, checkout, certification, Developmental or Operational testing (DT/OT). -- Must be skilled with PCs, MS Office Suite including Word, Excel, Powerpoint, and Project. -- Travel estimated at >25%. -- Must have current DoD SECRET Security Clearance. -- Directly related engineering experience with In-Service Engineering Integrated Logistics/Life Cycle Support directives, processes and procedures. -- Experience with Requirements Traceability tools such as DOORs or Requisite Pro. -- Development expertise in modeling and computer based simulations. -- Direct Experience with Naval Radars such as SPY-1, SPQ-9B, SPS-48, SPS-49, and Dual Band Radar such as MFR/VSR. -- Direct Experience with Navy missiles including SM-2, SM-3, SM-6, and ESSM. CACI is an Equal Opportunity Employer M/F/D/V. PLEASE NOTE: This position is in support of future opportunities. As we get closer to filling this position, we will be contacting qualified candidates. If you are selected to interview, you will be contacted directly .